Heat oven to 375°f, and butter a 9 x 12-inch baking dish. Cut zucchini into 1⁄2-inch rounds. Heat olive oil in sauté pan, then add zucchini rounds and sauté for about 10 minutes, until just tender. Add roughly chopped basil, and sauté for three more minutes. 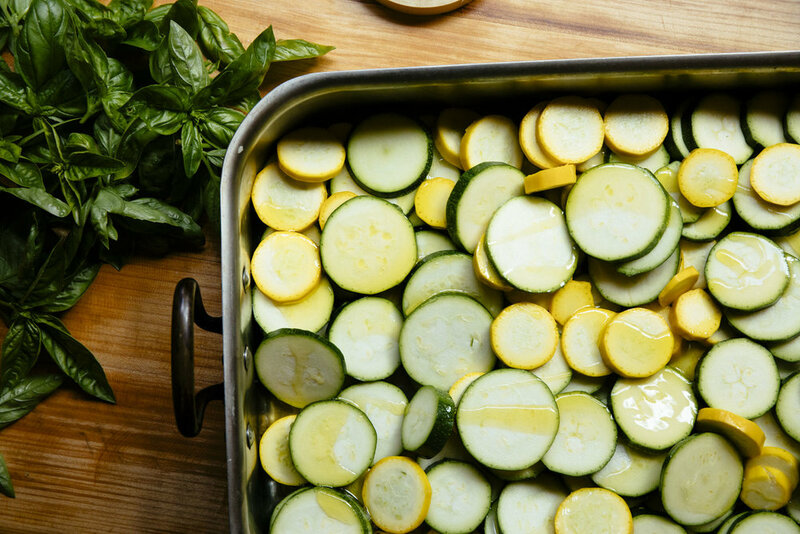 Spread zucchini into prepared pan. Pour cream over and, if you like, top with optional cheese. Bake about 45 minutes until golden and bubbly. Great warm or cold!